Outlook.com Premium email service since is now available in the US. Microsoft was testing a premium version Outlook.com since earlier this year. Currently, the service is available for the US citizens only. 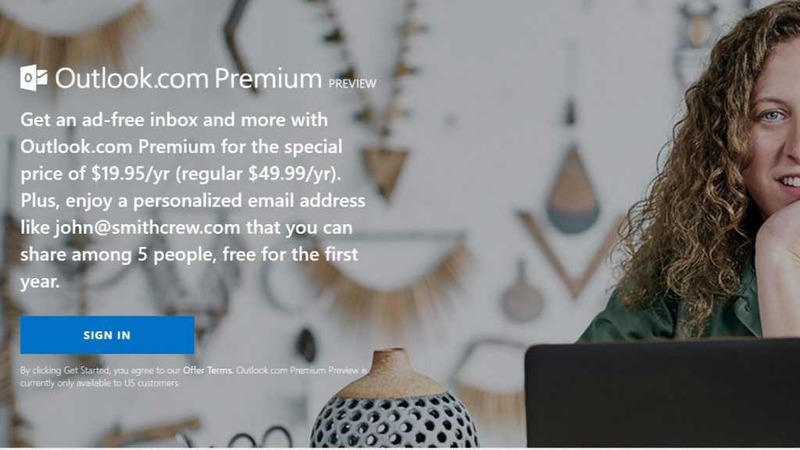 Microsoft’s Outlook.com Premium will cost you $19.95 as a promotion, regular price is $49.99 per year. Microsoft Outlook.com Premium will offer a free custom domain support and ads free inbox. The public preview allows users to create five personalized email addresses using a new domain or a domain they already own. The company will buy domains on behalf of users, and new domains are free for the first year. If you are in the US, you should try latest Microsoft’s offering. You can sign up for offer from here.